to all corners of this Earth, these ancient storytellers were reunited in Chicago, IL in the Second Year of the 698th Olympiad. 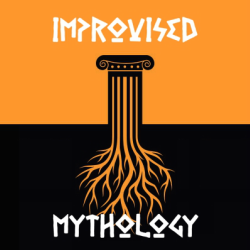 With each symposium, Improvised Mythology invokes the gods to answer your mortal questions in one fantastical tale never to be heard by human ears again. This sagacious group travels across the land to enchant groups of all ages and leave audiences a little more in awe of the world around them.